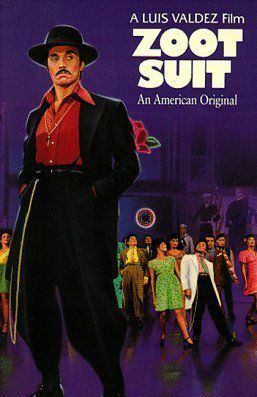 Malcolm X, who wore zoot suits in his youth, described the zoot suit as "a killer-diller coat with a drape shape, reet pleats, and shoulders padded like a lunatic's cell". Seventy-five years ago this week, the Zoot Suit Riots shook Los Angeles. 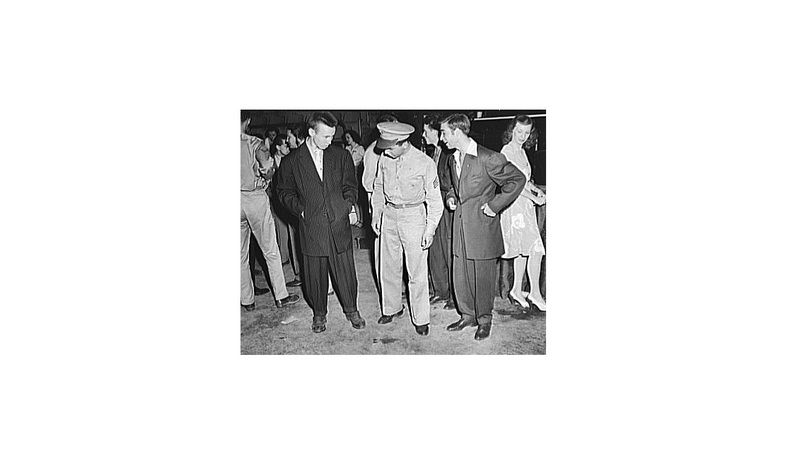 The Zoot Suit Riots were a series of conflicts in June 1943 in Los Angeles, California, which pitted European American servicemen stationed in Southern California against Mexican American youths and other minorities who had embraced this style of oversized draped suits, padded at the shoulder and pegged at the ankle. It all started on June 3, 1943, when a group of soldiers and marines on leave from World War II attacked minority youth wearing zoot suits, a symbol of cultural pride during a time of racial tension and heavy segregation. Specifically in LA, the zoot suits were associated with "pachucos", a lifestyle adopted by many Mexican American residents. The so-called "38th street gang," a criminal gang formed by Hispanics in the 1920s, also became known for wearing zoot suits and was the one that received the most attacks by military members during the 1943 riots. A year earlier, a city councilman proposed banning zoot suits in Los Angeles, claiming that they were "anti-patriotic" as the oversized suits flew in the face of wartime fabric restrictions, offending many of the servicemen during a period of patriotic zeal, as reported in Curbed. However, the measure was never approved by the mayor. By the middle of June, the riots in Los Angeles were lessened, but European American riots against Latinos erupted in other cities in California, as well as in cities in Texas and Arizona. In the following weeks, similar incidents sparked in cities in the northeast, such as Detroit, New York City, and Philadelphia. In Philly, two members of Gene Krupa's dance band were beaten up for wearing zoot suit stage costumes. The Zoot Suit Riots in Los Angeles served as inspiration for the Broadway play and, later, the 1981 film "Zoot Suit," which was written by American director and activist Luis Valdez, considered the father of Chicano theater. An important part of the play is based on the "Sleepy Lagoon murder," which was a precursor to the riots. The killing at Sleepy Lagoon happened less than a year earlier on August 1, 1942, when José Diaz was murdered near the lagoon in California in what is now Bell. In response, police in Los Angeles indiscriminately rounded up more than 600 Latino youth and indicted 22 alleged members of the 38th Street Gang.